Inspections are not mandatory, but are highly recommended. Your Agent will provide a list of preferred vendors. Home inspections identify possible issues that are not immediately visible, such as concerns with the electrical or plumbing. The results from home inspections can allow the buyer to negotiate further with the seller, if repairs are needed before the transaction closes. If you decide to forego the inspection, you take on the full responsibility of accepting the home and property “as is.” In most cases, foregoing the inspection is not recommended. Confirm with your Lender that an inspection is not required to secure your loan. Your Agent will help you stay on track to meet the contractual deadlines, including the deadline to complete a home inspection. Most first-time homebuyers don’t realize they are responsible for the inspection. Be sure to leave enough time and budget for the cost of the inspection. And note, all Inspectors are licensed professionals. 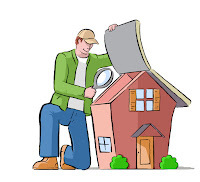 Many Inspectors invite the buyers to join them for a portion of or all of the home inspection. Due to the lengthy nature of the inspection, buyers usually join the Inspector at the tail end of the home inspection. This provides an opportunity to walk the property together and answer any questions with the buyers. The buyer’s Agent may also join the buyers to review the Inspector's initial findings. As a follow up to the home inspection, the buyers will receive a complete inspection report from the Inspector. The report will be thorough and will include images of the spaces inspected, including all areas the Inspector notes as either damaged or in need of the buyer’s attention. Read the report thoroughly and discuss questions with your Agent first. If there is something in the report that is not clear, consult your Inspector directly for clarification. Talk with your real estate Agent to discuss possible repair requests. 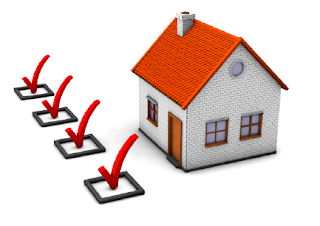 Once all repair requests determined, your Agent will present your list of repair requests to the seller’s Agent. Repairs are not mandatory and are completely open for negotiations. The seller can either agree and complete all repair requests, disagree and deny completing any repairs requested, or counter with a commitment to complete some of the repairs. Often times, if the repairs are minimal, the buyers can ask for a credit from the seller to apply to the cost of the repairs. This credit would be provided during Settlement. There is an exception to the repair requests portion of the purchase negotiations. If a listing is being sold “As Is” this means the seller is not willing to make any repairs and has communicated this up front. Following the inspection negotiations, if repairs are to be completed before the sale is complete, keep accurate records of all repair invoices. There are instances when a seemingly simple repair is tempting to do yourself or pay a friend. But, if the repairs are not completed by a licensed professional and properly invoiced, you may not be covered for the repair expenses in the transaction. Mortgage and title companies will need the repair invoice documents at Settlement. If the inspection report uncovers major repair needs or several small, but costly repairs, the buyers may choose to cancel their offer on the home. There is a contractual deadline that allows the buyers to cancel their offer without losing their earnest money deposit. 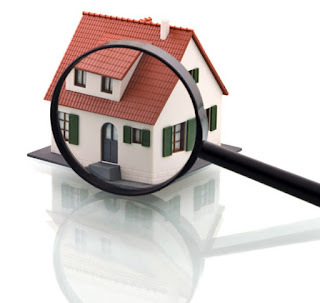 What Comes After the Home Inspection? Once you get through the inspection deadline stipulated in the real estate contract, both sides can rest a bit easier as the only major remaining steps are to complete the appraisal and for the buyer to complete the financing. Of course, this may seem overly simplified as there are many moving parts and pieces during a real estate transaction. Your Agent and Lender will be your true allies through the whole process. Still looking for either your Agent or your Lender? Consider working with RANLife and experience the best in the industry.